Mend A Bath International is the world’s number 1 bathroom resurfacing company, established over 40 years ago and currently franchised in more than 25 countries globally. 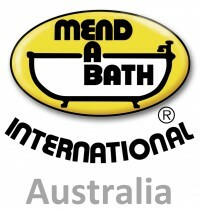 Mend A Bath International has been operating in Australia for more than 30 years and is recognised by its franchisees for its outstanding business and product support, with a focus on supporting our franchisees to become successful. Mend A Bath International Australia is a unique bathroom resurfacing opportunity, which operates in a niche market with only a few competitors. This service is changing the industry, has huge growth potential and our clients love the end result. This opportunity offers high profit margins, low overheads and happy clients. As we operate as a mobile service, you have the ability to run your business from a home office, giving you a great work life balance and the flexibility to schedule your work when it suits you. We’re looking for entrepreneurial people who want a highly profitable business opportunity, with the potential to earn a great income, while offering a service which leaves clients so happy that they refer your service onto others. Do you want to enjoy the flexibility of being your own boss and having a lifestyle that suits you? Contact our Team Now, we’re waiting for your call. "I spent a solid 4 months assessing the potential of this franchise against a specific set of criteria that I had developed…. In addition, I see excellent growth in this niche sector into the future. I foresee demand for our services continuing to strengthen as our marketing & brand recognition become stronger. The type of service we offer also has the ability to still perform well in tough economic times…..this was an important factor for me. Having come on board, I am even happier than when I made the decision. Steve & Sharron have been a key part of this through their efforts to do everything in their power to assist the franchisee in becoming successful. I can commend their work very highly. This franchise has outstanding potential & I encourage potential franchisees to review it closely." “Having previously owned and run other businesses we had a very clear idea on what we wanted from our next business….We also took great confidence in the fact that Steve had extensive experience in the industry spanning many years and had built a solid and reputable business.